Speaking to non-believers and believers alike, Fr. 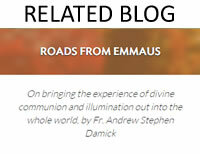 Andrew Damick attempts to create a sacred space in which we can encounter God. In this compact volume, he distills the essence of the traditional Christian faith, addressing the fundamental mysteries of where God is, who God is, why we go to church, and why Christian morality matters. If you’ve only heard about the Protestant or Roman Catholic version of Christianity, what he has to say may surprise you—and make you long to encounter God in Jesus Christ. From the Foreword by Jonathan Jackson Fr. Andrew Damick has written a beautiful, humble, and profound book on the mystery of God’s love for mankind. It is beautiful because the author is introducing the reader to the Beautiful One. It is humble because Fr. Andrew has no interest in conveying his own ideas or philosophies—only the True Faith as passed down from Christ and His Apostles from generation to generation. 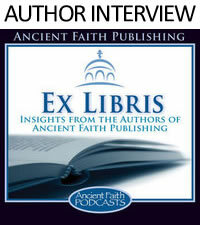 It is profound because it is a clear and prayerful exposition of pristine Christianity. About the Author The Rev. Fr. 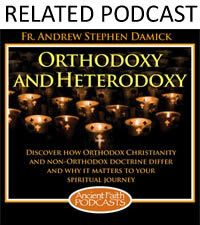 Andrew Stephen Damick is pastor of St. Paul Orthodox Church in Emmaus, Pennsylvania. 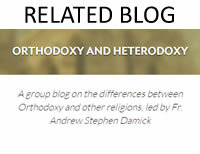 He also lectures widely on Orthodox evangelism, history, ecology, comparative theology, and localism. He is a founding member and one of the associate directors of the Society for Orthodox Christian History in the Americas. Fr. 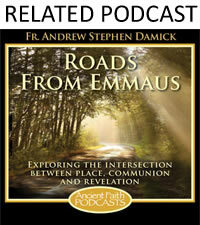 Andrew hosts the Orthodoxy and Heterodoxy and Roads from Emmaus podcasts, as well as writing the Roads from Emmaus weblog. He lives in Emmaus with his wife Kh. Nicole and their children.